A recent report from Emerson Network Power showed that the biggest data center downtime headaches resulted from UPS battery failure, among other findings. According to IT professionals surveyed in the report, 65% of respondents cited UPS battery failure as the biggest cause of data center downtime, with UPS capacity (53%) and human error (51%) clocking in as the next largest culprits. Over half of the respondents felt that downtime could have been prevented, but only 37% believed that there are enough resources to bring their data centers up to speed after an unplanned outage, while only 42% felt that senior management was on board with their efforts to prevent and manage outages. The report looked at responses from over 450 IT pros involved in data center operations, and is the first in a two-part series from Emerson. You can check out a .pdf of the full survey results. 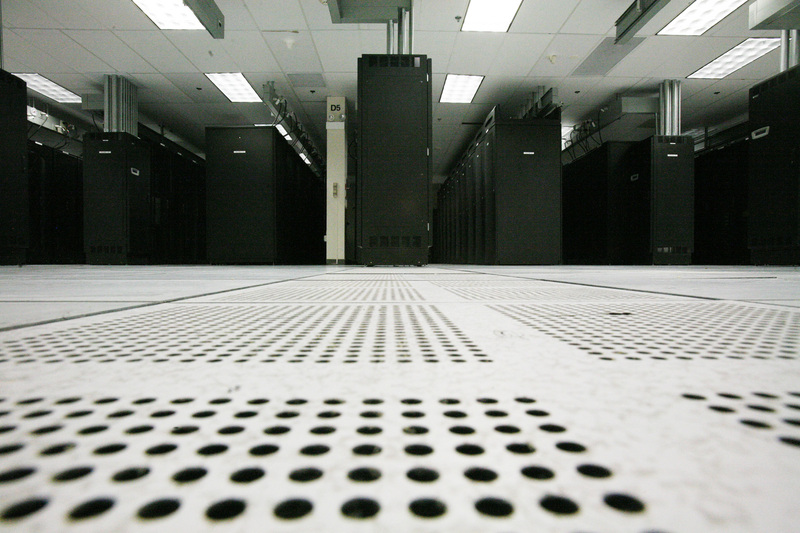 Data center design expert Julius Neudorfer, CTO and founder of North American Access Technologies, in an e-mail to SearchDataCenter.com, said that the number of unplanned outages seemed high, considering the size of the data centers participating in the survey. Do the survey findings on unplanned downtime ring true in your data center? Weigh in @datacenterTT on Twitter. Emerson Network Power recently announced the Avocent Data Center Planner, a visual infrastructure management and planning software suite for the data center. While Emerson’s data center planner Aperture is already on the market, a company spokesperson explained that what sets Avocent apart is that it is designed for monitoring smaller data center environments, and is especially adept at managing rack level capacity and provisioning at this smaller scale. Aperture, on the other hand, is best for bigger or multiple data centers. Avocent provides information on where equipment is located, its current capacity and a timeline of projected growth. Because of this visual interface that forecasts data center growth, including how rack capacity could fluctuate with changes over time, IT managers will be able to improve energy efficiencies of their data centers more effectively, according to Emerson. Features of the Avocent Data Center Planner include an enhanced drag-and-drop interface, and planning features that include the ability to view multiple plans from a single screen. 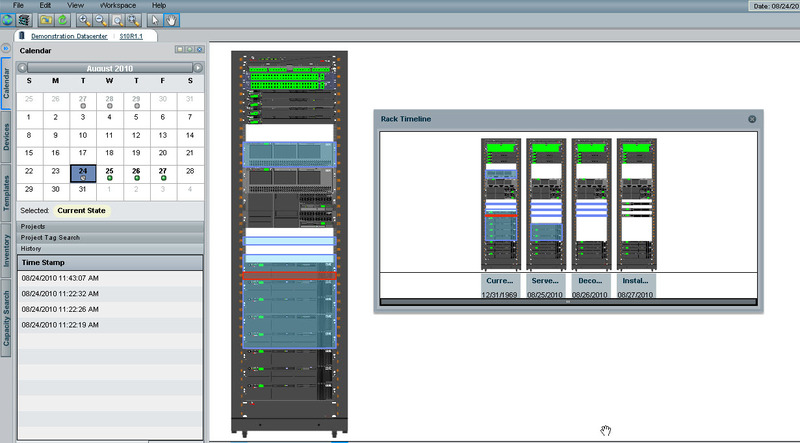 In addition, the interface updates graphics as equipment is installed or moved around within the infrastructure. Also on the interface, IT managers can view the assets currently in production via on-demand access to asset information. The single repository also eliminates the need for system audits. The product is available now. You can view more on the Avocent line of products on its website. I recently chatted with Lex Coors, VP of data center technology at the European colocation provider Interxion. Coors is a founding member of the Uptime Institute and has supervised 28 data center design-build projects and upgrades in 11 countries. Coors said European data center demand is booming, as he’s working on three projects in London, as well as projects in Amsterdam, Dublin, Frankfurt, Switzerland. Interxion, like many colo providers in the U.S., is building out capacity modularly, chopping up facilities into self-contained blocks to be as efficient with space and energy as possible. Interxion is also deploying some new technologies from European partners to do that more efficiently and he gave a few examples. One product is a new centrifugal chiller designed by Turbocor. Coors said the product has been on the market for three years now and is out of the teething period. The Turbocor chillers are designed to be extremely efficient, especially at partial load — an important feature for an organization that’s ramping up IT demand. Coors is deploying another technology to help improve efficiency in a partially loaded environment Automatic Floor Pressurisation System (AFPS) from Uniflair, which helps Interexion keep adequate cooling on the servers without wasting cooling capacity if the room isn’t built out to full load. Lastly, Interxion is using adiabatic cooling, a method that uses less water than other evaporative cooling methods like cooling towers, and is less energy intensive than mechanical cooling. Coors said he is using Transtherm Adiabatic Coolers. The units spray a fine mist across cooling coils evaporating and cooling the air inlet stream. I asked Coors if he had any concern about risks involved with using cutting edge data center infrastructure technologies, and he said that Interxion had partnered with some of these companies for years, and in fact played a role in how some of the products were developed, and that kind of relationship can help you out if/when his organization ever needs product support. Upsite Technologies, the company that sells Hot Lok and Cold Lok data center airflow products, is now offering energy efficiency consulting services. Upsite Technologies is owned by Ken Brill, Uptime Institute founder. The 451 Group acquired The Uptime Institute and its professional consulting arm (formerly Computer Site Engineering, now Uptime Professional Services) one year ago, but Brill maintained ownership of Upsite Technologies. The services, dubbed EnergyLok, will offer data center managers diagnostic, analytic, consultative, and remediation services to solve airflow inefficiencies in the data center. The engineering team will be headed up by Lars Strong, a longtime contributor to the Institute’s industry research. Data center solutions provider Tripp Lite today rolled out two 12 kVA hot-swappable modular UPS systems under the SmartOnline line with the goal of providing data center power protection in a small space. 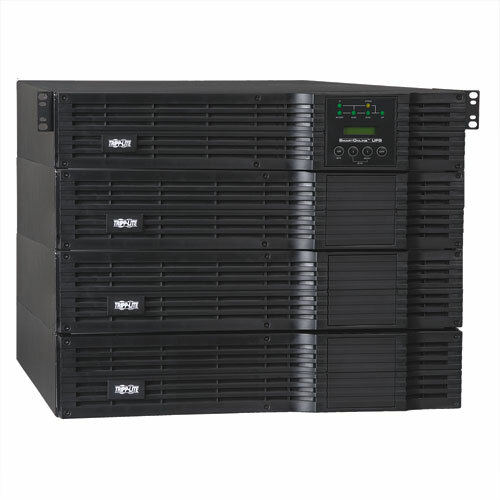 The UPS systems can provide up to 8400 W of capacity while taking up a small amount of rack space – 8 U to be excact. Features included with the UPS include 208/240 V and 120 V output compatibility, an included detachable PDU with manual bypass that enables hot-swap UPS replacement with no downtime to the power connected to the equipment, an optional Economy Mode that reduces energy output and expandable runtime with optional external battery packs. You can check out more on the new UPS systems, including product specs and images, on Tripp Lite’s website. RF Code and Raritan announced a new data center monitoring product aimed at cutting energy usage and overall costs with more granular power usage data – without the use of wired Ethernet connections. The RF Code R170 PDU Tag for Raritan combines RF Code’s wire-free monitoring with Raritan’s intelligent rack PDUs, with the sensor tag plugging into Raritan’s Dominion PX rack PDUs. IP address association, configuration or maintenance is not needed. The sensor instead immediately collects power usage data, including RMS current and voltage, from the PDU, transmitting the data to an RF Code reader. The data is then sent to RF Code’s Sensor Manager software, where the data is analyzed and the admin is given a glimpse into the power utilization of the data center. All of this is done without wired Ethernet connections, which the companies claim are not cost- and time-friendly. The RF Code sensor tag has a list price of $99, and the Raritan intelligent PDUs that the tags plug into start at $449. 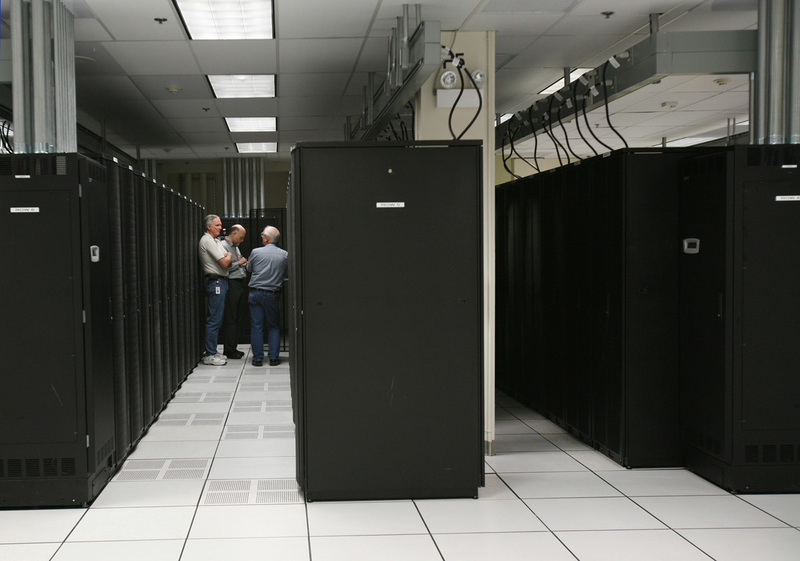 Fujitsu is renovating its colocation and managed services data center in Sunnyvale, expanding the square footage 2.5 times, and increasing server density by a factor of four. Carl Hillier, director of marketing for Fujitsu Services said the company is updating the facility to host ten times the current amount of servers, increase efficiency and to upgrade the facility to Uptime’s Tier 3 standard. Fujitsu is also updating the physical security with new biometric product called PalmSecure that actually scans the vein patterns under your skin! Fujitsu managed services is looking at extending the use of fuel cells, adding two devices to double the capacity of the current fuel cell, taking the generating capacity up to a full megawatt. Another noteworthy feature of the Fujitsu data center is that it runs all of its power and networking cabling on trays near the ceiling, and has nothing at all under the raised floor that would block airflow. If you don’t think minimizing greenhouse gas emissions are part of your job description as a data center manager, think again. Greenpeace just published a new video chastising Facebook for choosing Pacific Power, a utility owned by PacifiCorp, to provide the electricity for its new Prineville, Oregon data center. Around 58% of Pacific Power’s generating capabilities come from coal, which is over the national average of 50%. We broke the story earlier this year in January. Over a half-million Facebook members so far have asked the company to come up with an alternative. Admins who are running out of power in their data centers have a new option available. On Tuesday, data center management solution company Raritan rolled out the latest release of its Power IQ energy management software. In addition to the range of energy data Power IQ collects to chart power usage, including amps, humidity and volts, Power IQ 2.0 uses Thermal Analytics to monitor rack temperatures in order to optimally use power and cooling resources without them being an energy hog. 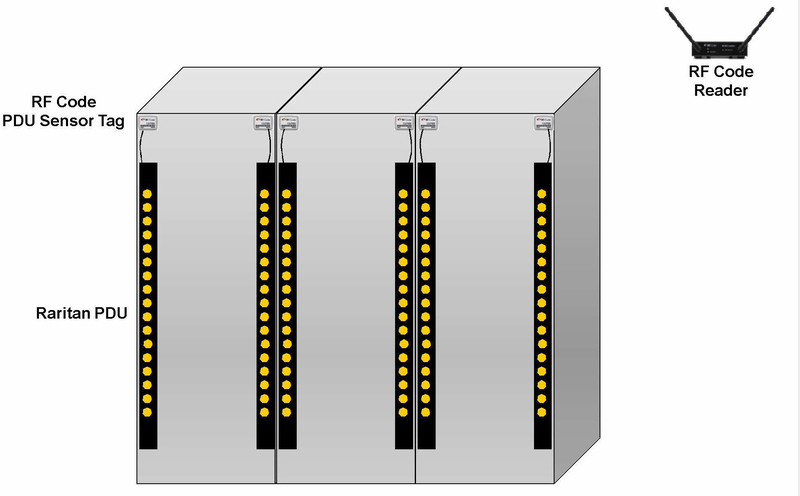 ASHRAE guidelines state that the upper temperature limit in a data center be increased by 3.6 degrees F to 80.6F. Power IQ will alert admins if the data center exceeds or is within this temperature, will give long-term data trends and provide recommendations on possible energy savings by increasing the data center temperature to meet these ASHRAE guidelines. In addition, Power IQ 2.0 as an agent-less device allows for the easy shut down and start up of servers connected to rack PDUs, with no additional software needed on the target server. Automatic power cycling of certain IT systems when not needed also allows for energy savings with Power IQ. You can download a full version of Power IQ and learn more about the energy-efficiency product in the initial press release. Data center energy-efficiency measurement company Trendpoint Systems recently published a white paper detailing a new metric designed to expand upon power usage effectiveness (PUE) – Micro PUE. Micro PUE is calculated by measuring energy efficiency at the cooling component level, allowing data center managers to view each cooling unit’s efficiency versus other units. The cooling unit results show exactly where energy loss occurs in the data center. ”We wanted to show that it was possible to accurately measure and manage each cooling unit, by gathering heat data in BTUs and relating it back to the IT load. From there, comparing this heat removed with the energy required to remove it allows users to see which of their units are efficient and which are not, enabling them to tackle their PUE numbers from the source,” said Bob Hunter, Trendpoint Systems CEO. The benefits of Micro PUE, according to Trendpoint, include not only pinpointing specific causes of energy inefficiencies, but reducing overall PUE through a link to cooling energy – a white paper example shows that a 10% reduction in cooling energy usage effectively led to 4% improvement in overall PUE. Experts though feel that while Micro PUE may have good intentions, it may take time to stand on its own as a metric. “This isn’t a high priority for the average enterprise data center manager. But colocation facilities that are closely tracking cooling costs may be the first to see a benefit in this metric,” said Julian Kudritzki, VP of Uptime Institute Professional Services. Julius Neudorfer, CTO of North American Access Technologies, Inc., feels that the metric may be just a creative marketing ploy. Check out some background information on Micro PUE. You can also take a look at the white paper yourself and be the judge of whether there is merit to the new metric introduced by Trendpoint. Weigh in @datacenterTT on Twitter.